Preheat oven to 350°. 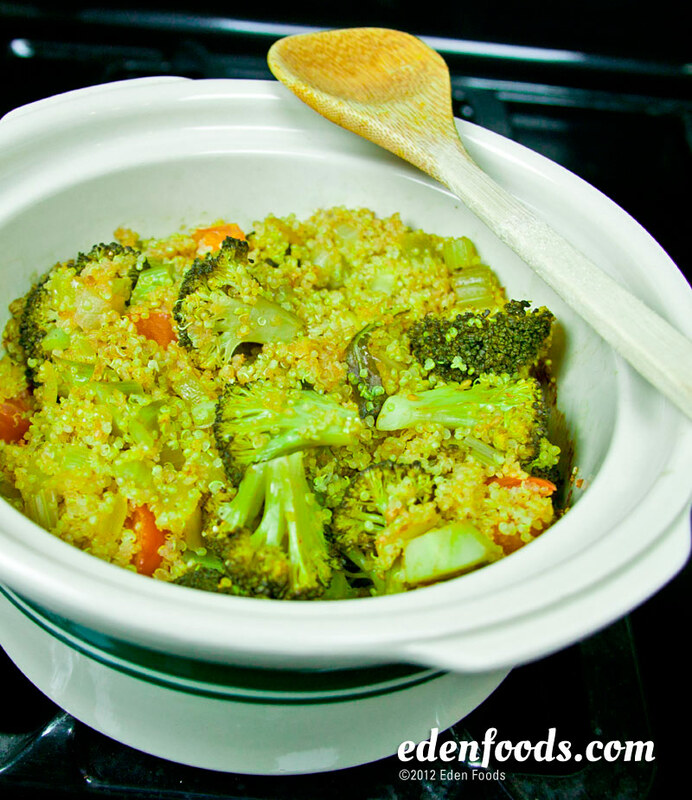 Roast rinsed quinoa in a dry skillet until it pops, stirring constantly to evenly roast and prevent burning. Place quinoa in a casserole dish and add the water. Heat oil, sauté onions, garlic and curry in skillet until onions are translucent. Add celery, broccoli and tomato. Sauté briefly and add to quinoa. Add shoyu and vinegar. Mix, cover casserole dish and bake for 45 minutes or until the quinoa is tender.